In the future, students will access information and answer questions with a pocket-sized digital device they can take anywhere. Well, the future is here! Keeping up with the digital natives, a.k.a., your students, is a monumental task. For Teacher-Librarians, staying agile, current, and relevant with technology, digital resources, and emerging STEM trends is more important than ever. As teacher-librarians our focus is no longer only to guide our students to locate resources, but to provide an inviting, comfortable environment that allows students to create, collaborate, make, and build. 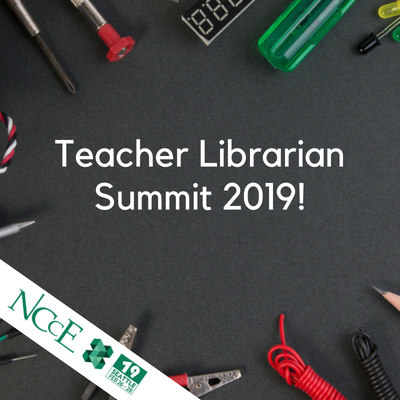 Learn how to meet these challenges and transform your school library at the NCCE19 Teacher-Librarian Summit. The day’s activities will be facilitated by author, Todd Burleson and NCCE’s Tech-Savvy Librarian, Morgen Larsen. 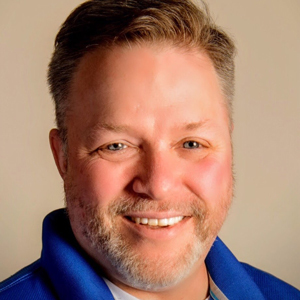 Todd is an international speaker, the Hubbard Woods Library Media Specialist in Winnetka, IL, home to the “IDEA Lab” and the School Library Journal 2016 School Librarian of the Year. Todd’s opening keynote, “Becoming Comfortable Being Uncomfortable,” will help us explore the challenges we face in creating these 21st century libraries. Change is hard for everyone. This keynote will examine some of the obstacles and explore how we can use our creativity to address them. You’ll be inspired, challenged and on the path to being comfortable being uncomfortable. Todd will join Shannon Miller, Mark Ray and Craig Seasholes in dialogue on current challenges, issues, needs and possibilities with our panel of TL All Stars. You will spend time collaborating with others while you devise and document plans for your library’s transformation. Lastly, learn about tips, tricks, and new tech in breakout sessions and from fellow librarians as they present in our TL Smackdown.